Bad defending from Australia gives Jordan the lead at half-time. 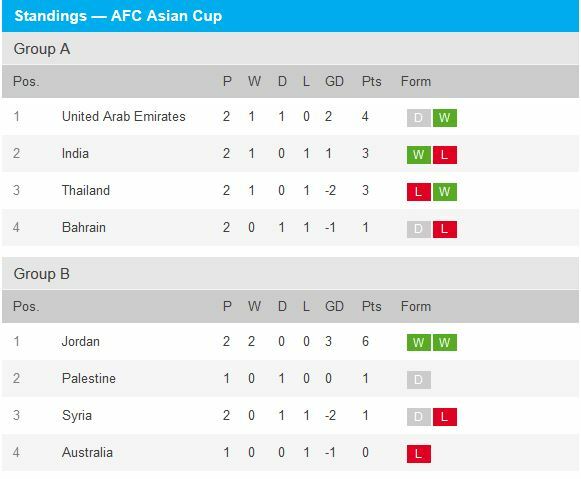 LIVE: The Australia vs Jordan match is into the second half with Jordan leading, but the big match tonight will be Thailand vs India. In an unexpected turn of events, the title-holders Australia lost 0-1 to Jordan. 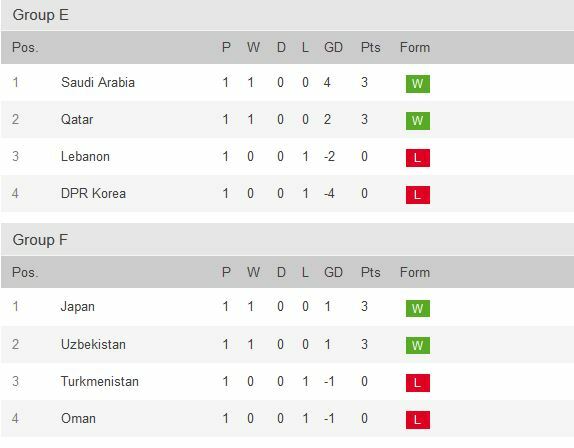 The Australian game was uninspiring and the Socceroos will have to up their game if they want to beat Palestine and Syria. 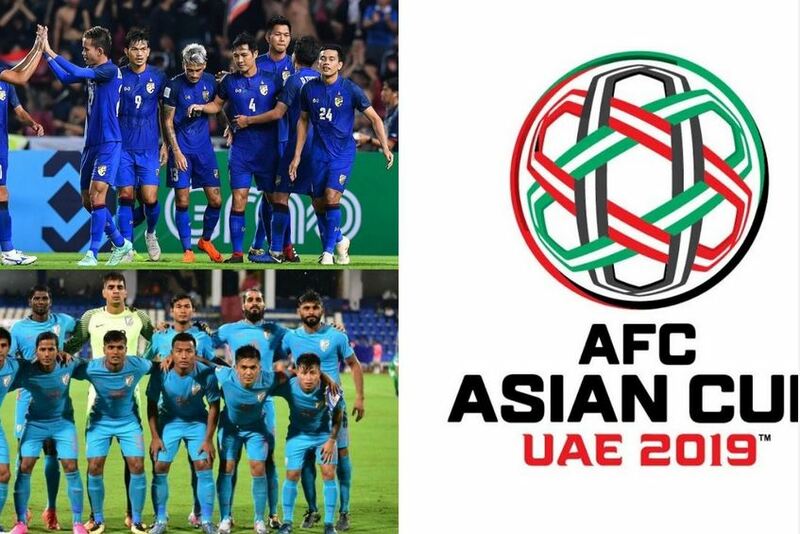 Chanathip Songkrasin emerged as the hero for Thailand on Thursday as he kept them alive at AFC Asian Cup 2019 with a 58th-minute winner that handed his side a 1-0 Group B triumph over Bahrain. 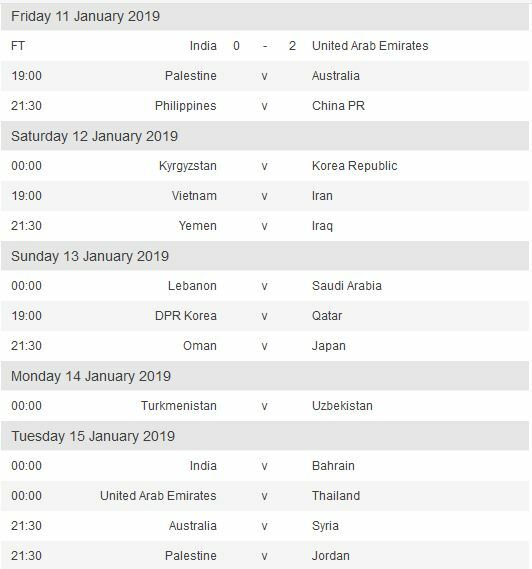 Having been humbled by India in their opening game of the tournament as they fell to a shock 4-1 defeat, the Thais entered the game at the Al-Maktoum Stadium knowing they needed a win if they were to have a proper chance of reaching the Round of 16. 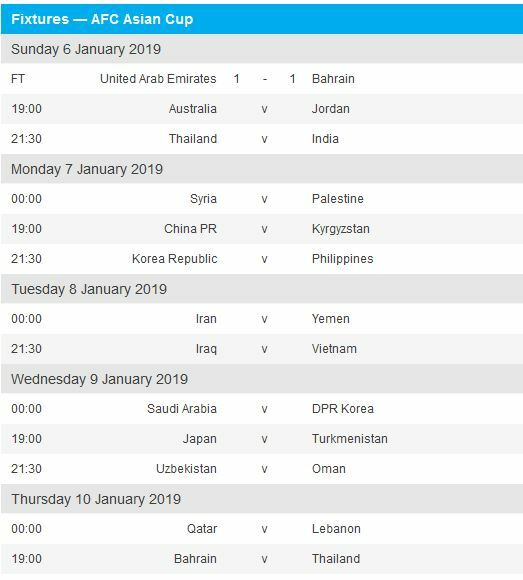 CEO's match to watch this weekend will be Vietnam vs Iran at 19:00 tomorrow night, Saturday, 12 January. Agreed. 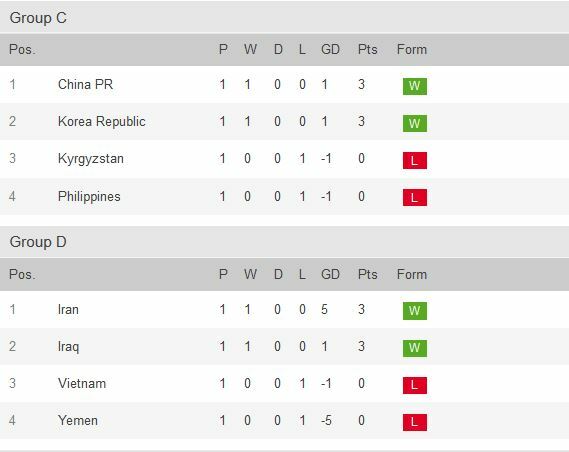 Vietnam needs to up their game, it is win or die.